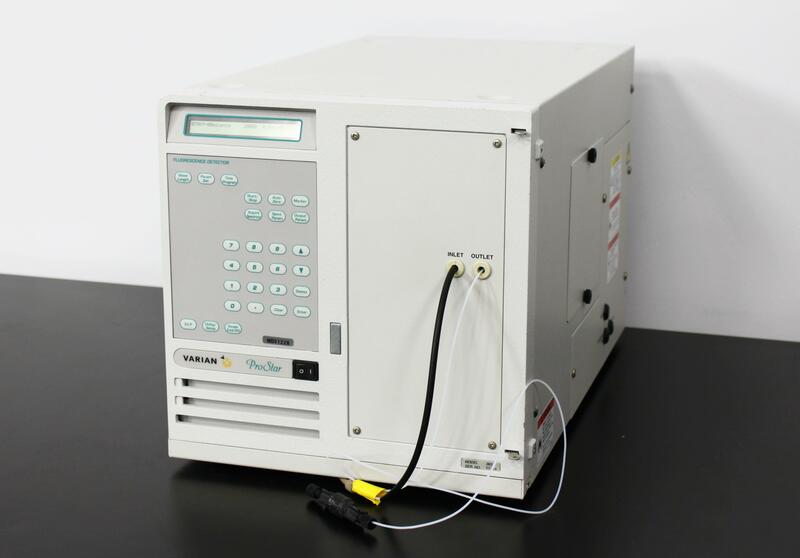 Varian ProStar 363 Flourescence Detector HPLC Liquid Chromatography . New Life Scientific, Inc.
Our in-house technician inspected and powered on this Varian ProStar 363 Flourescence Detector. After observing some normal behavior, during photography the instrument eventually failed to initialize and will be sold for parts.